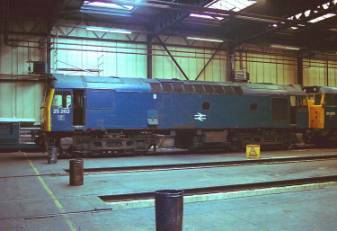 Towards the end of July the loco was placed in the stock shed for a start on the body repairs, mainly around the cab. A side window was removed along with a driver’s windscreen. This was followed with the horn cover over the cab. 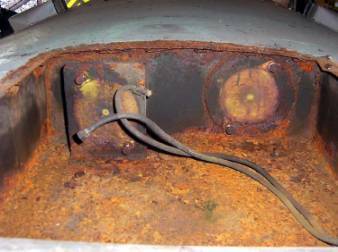 This was the first time this had been off in preservation and a nice rusty mess was found. The loco was transferred to the P.L.O.G. 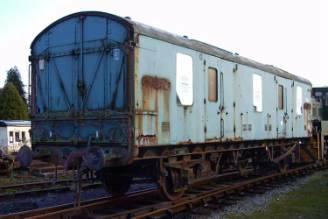 shed on Sunday 12th Sept. (the Transport Heritage weekend) Ready for a rub down & repaint. After having a good rub down the loco was washed the following weekend. 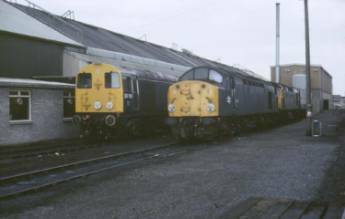 At the end of September the roof of the loco was finished and the rest of the loco was in undercoat or the first coat of gloss. This loco has now taken over from 20110 as the standby loco. The loco did most of the evening trains over the peak timetable. The loco started to lose coolant and had to be topped after a few days. A joint on the bottom of a turbocharger was found to be weeping. This was tightened and seems to have done the job. The loco worked over the Transport Heritage weekend (11th & 12th Sept) doing only one return trip on the Saturday and on the Sunday a bit of messing about with freight workings. Tuesday 14th saw the loco in action again. It did the last return trip of the day due to the failure of steam loco 1420. 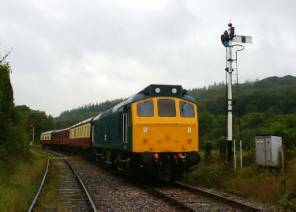 It did a special ECS working on Sunday 26th September to Bishops Bridge to make room at Buckfastleigh for the unit to return. Still having problems with keeping the engine running as well as getting power. It worked the first three of the four trips on it’s running Sunday on the 1st August (20118 doing the last trip). It also worked the evening train (17.15 dep) on Monday, but failed to make the rest of the week with 20118 standing in. The oil pressure switch was changed on Sunday 22nd August, now the engine stays running! 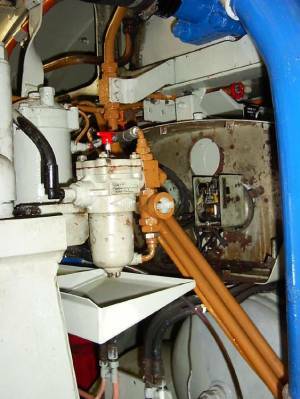 The air brake governor (which had been changed a little while ago) was re-adjusted. The power problem has now gone! It worked three more evening trains on 24th, 25th & 26th Aug, this time a compressor stopped working on the return from Totnes on the 25th. The compressor change over switch is now in use. 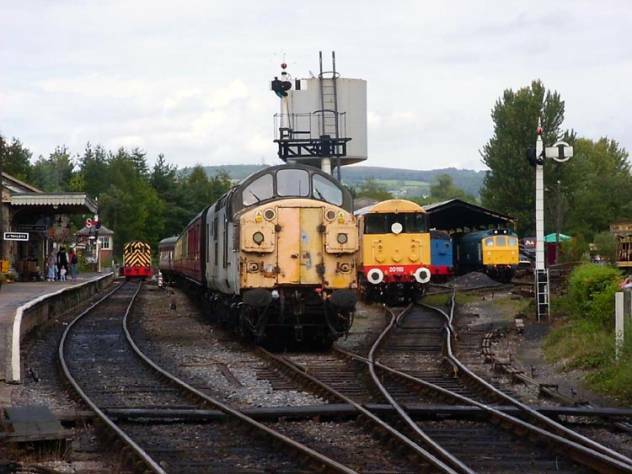 On Sunday 29th & Monday 30th Aug the loco did one round trip (each day) to Totnes for the Branch Line weekend. On it’s return on Monday the compressor fault was traced to the contactor, which has a part that was burnt out. A replacement part is now being sauced, but a temporary repair has been made. With this done the other compressor failed to run. The contactor for this one would not hold in, so it was removed and the coil on the contactor was tested and for to be good. This was refitted a few days later only to find that it once again works as it should and the loco is now back on two compressors. The loco has had a service with brakes being adjusted and various oils being topped up. The fluid flywheel has been topped up once more since the service indicating that the seal on the flywheel may soon need replacing (not an easy job!). Half way through the Branch Line weekend the loco was restricted to the station limits (Buckfastleigh), due to the oil leak from the flywheel. A new set of brake block will soon be required for the loco as well. Being started every few Sundays, and starting first time on batteries that are 12+ year old! Could the loco be running this time next year? Supporting the 09 appeal will achieve this goal. The loco has worked two evening train plus the odd shunt. The coolant leak has been stopped for the time being. On one of the return evening trains the loco lost power with no indication. After stopping the power returned! Due to the 04 being restricted to station/yard work only this loco took over the 04’s roster for the Transport Heritage weekend. It had trips down the line on both days. Has had some wiring in the No.2 end nose tided up. This has lead to most of the lighting now working! The loco worked the first driver experience trains for the diesel groups on Sunday 22nd August, doing three round trips. 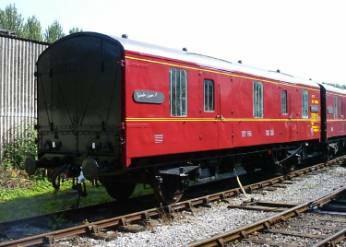 When finished the loco was placed in the running shed for rust removal in the body sides. The cab interior around the driver’s side (No.2 end) had to be removed along with the side windows. 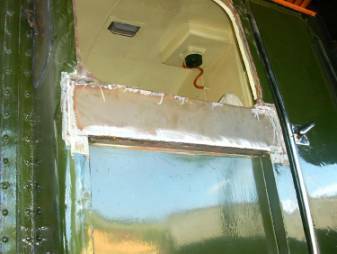 By the end of September the driver’s side of No.2 cab had been finished with four new metal plates having been welded in. Still parked in the bay at Totnes, on show to all. Work is slowly progressing in the large saloon with all the wooden step inserts having been bolted in place by the start of August. By the end of the month most of the panelling was fixed to the sides. This leaves the window frame to re-fit and the wooden strip around the panels to go back. The waterproofing strips at the bottom of the inside of the large saloon doors are in the process of being renewed. Still waiting for the body lift to replace the wheel sets in No.1 bogie. Worked two later evening trains on the August Fair weekend. Worked on the Sunday of the Branch Line weekend, ending up stabled at Bishops Bridge. 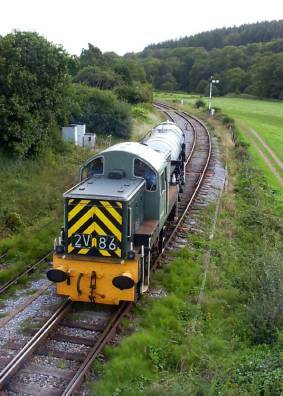 The unit returned to Buckfastleigh on Sunday 26th September so the owning group could do so work on it before their annual autumn day on the line (Thursday 30th September). MINK W104700 – No change. CCT W94556 - No change. 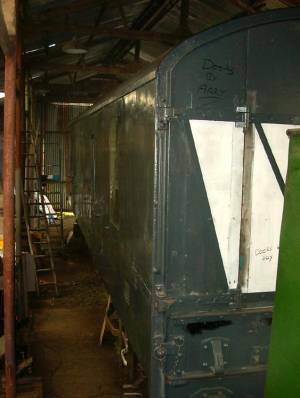 CCT M94852 – With all the welding now finished and the end doors refitted to the van, with new plywood. on the Saturday afternoon. This meant the van had to be side lined for the rest of the weekend. SHOCK VAN - No change. MINK ‘B’ W125814 (B753100) – No change. Sunday ~ October 3rd - D9525. 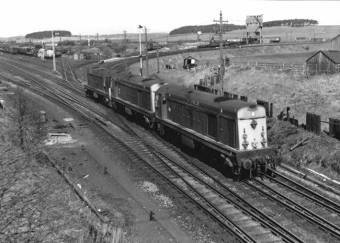 D8118 with two class mates en-route Carstairs to Beatock for banking duties in May 1970. CCT M94852 at the start of the year. M94852 after all welding was finished, in the P.L.O.G. shed for painting. The finished item next to the other CCT at the start of September. The horn box over the cab full of rest (left) and the new metal in the cab side of 20110. The newly fitted drip tray on the 25, also in view is the oil pressure switch that was changed. Waiting for the road at Bishops Bridge loop on 10-9-04. 37037 waits for the road at Buckfastleigh with the first Diesel Drive Experience course, with most of the diesel fleet on show 22-8-04.